So, you’ve built an app. You want a lot of users. And you know you need to make sure everything’s (close-to) perfect before you launch. That’s where testing comes in. But where do you start? There are almost as many mobile testing methods as there are mobile app features (only slightly exaggerating), but there are a few that are foundational to the success of your mobile app . . . no matter what. Functionality testing tests the most important feature of your app: whether or not it works. While every mobile testing method listed here is important, this is truly the most essential. If your app doesn’t work as you say it will, your users aren’t likely to stick around for long. In functionality testing, your test case should outline every feature of, requirement for, and environment in which your app might be used. While functionality testing can vary for every app, it’s always important to mimic the actual user flow and experience by testing on real devices. By reviewing and testing to confirm that every feature functions as it should, you’re ensuring that your users get the experience they were looking for — and that’s the bare minimum requirement of a positive user experience. Question to Consider When Testing for Functionality: Does every feature work exactly as it’s supposed to? Usability testing goes a step beyond functionality testing — this method isn’t just about making sure your app’s purported features work as advertised; it’s about taking in the holistic view of the user experience . . . and making sure it’s an experience worth having. That means taking into consideration what it’s actually like (not what you think it’s like) to navigate your app and whether or not it’s easy to use. It’s not as simple as creating a list of things your app should do and checking off what passes (and what doesn’t). Usability testing means getting into the heads of your users and seeing your app through their eyes — is your app easy to use? If not, what can you do to improve that experience? Question to Consider When Testing for Usability: Is my app intuitive and easy to use? If Apple’s latest spate of smartphones (and smartwatches) has reminded us of anything, it’s that there are not only many different types of users and many different types of environments to consider when building a mobile app — there are also increasingly many different types of devices (and operating systems) on which people might be using your app. Compatibility testing ensures that your app works for every user, no matter the device or OS they prefer. That’s why at PLUS QA, we test on over 300 different devices from our in-house device lab, covering every device and every operating system from the Galaxy A5’s Marshmallow OS to iPhone XS’ iOS 12. It’s great if your app works perfectly on Android’s Marshmallow — but if it crashes for every iPhone user with the new iOS 12, you’ve still got trouble. You don’t necessarily need to test on every single device or operating system that exists, but you do need to know where your users are, and cover your bases. Questions to Consider When Testing for Compatibility: Which devices and operating systems does my target audience use — and is my app compatible with each? Accessibility testing is often considered an add-on mobile testing method — something only truly considered by app developers in compliance-controlled industries like healthcare and finance. 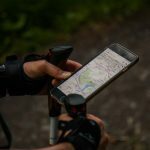 Accessibility testing — which tests whether or not your app is accessible to people with disabilities, who make up over 20% of the US population — is just as foundational as usability testing, compatibility testing, and the like, because it ensures that your app can be effectively used by the widest possible audience. By testing for color scheme and contrast, text alternatives or captions, and ease of navigation, amongst other accessibility considerations, you’ll ensure that your application is functional and easy-to-use for every user. Question to Consider When Testing for Accessibility: Have I optimized different features of my app so that they’re accessible to all users? Connectivity testing is a newer method in the lineup, but with the proliferation of Internet of Things (IoT) devices (a market forecasted to reach $772.5 billion this year), it’s more necessary than ever. IoT is a collection of smart devices — such as the Amazon Echo, Apple Watch, and augmented/virtual reality devices — that collect and communicate data with one another. Connectivity testing ensures that these devices stay connected (and communicating) as they’re supposed to by considering and testing in different network environments and with various pairing instructions, for example. While some might find IoT a little frivolous, there are IoT devices and applications (such as personal health trackers and emergency alert systems — and eventually, even autonomous vehicles!) that can literally be life-saving when functioning correctly. Connectivity testing ensures that these newer “things” operate exactly as they’re supposed to — both in life-or-death and in just-for-fun situations. Question to Consider When Testing for Connectivity: Does my app have data communication requirements — where and how should I test to ensure connectivity? The five aforementioned methods aren’t the only types of testing, of course. There’s stress testing, security testing, localization testing, regression testing, compliance testing, and so much more! And all of the testing methods that should be part of your app’s test strategy are entirely dependent upon the specifics of your app. But if you start by focusing your strategy on the five foundational testing methods we’ve shared above, you’ll be that much more likely to successfully share your app with users. At PLUS QA, we can help you determine the mobile testing methods you need — and get the testing done, too. Get in touch with us to learn more.